The wastes collected in Yellow bags are highly infectious and has no value or cannot be used as a resource for production of some other product. So, it is normally incinerated in incinerators that operate at high temperature specified by the CPCB and converted into inert ash and the flue gas after cleaning is let off into the atmosphere at permissible emission limits. As per CPCB norms a bio medical waste incinerator should have a double chamber which operates at 850 and 1000 degree C respectively, proper Air Pollution Control Devices (APCD) and 30 meter chimney. The outlet flue gas should meet the emission standards set by the Board and also operate at proper temperature specified in the Rules. The water used for cooling, scrubbing and cleaning of flue gas has to be treated using an ETP before it is being reused or disposed in drain. The ash has to be landfilled. 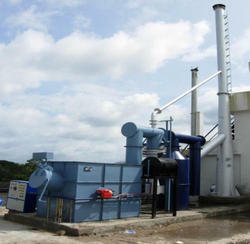 Our BMW incinerator has all such features and complies with the standards set by the CPCB and statutory authorities. Disposal of items that are not bio-degradable and also does not have any recycling feature is the major issue for all establishments. Such kind of wastes are being disposed by installing a Waste Destroyer with air scrubbing and filtration to remove the fly ash before the flue gas is let into the atmosphere at a height of 20 meters from ground level. · No Fuel Mode without any fuel or electricity – when the waste is very dry in nature. · Electrical and no fuel mode– when the waste is not wet and consists of dry waste also. · Diesel Mode using burner – when the waste is very wet in nature. 1. In case the waste to be incinerated is very wet in nature , the diesel burner is switched ON. It ignites the waste and it starts to burn. The air required for the waste to burn is supplied by a blower installed in the waste destroyer. The supply of diesel gets cut once the required temperature is reached. 2. If the waste consists of dry and wet waste mixed and not in very wet condition, the Electric heater is switched ON. This ignites the waste and cuts off electricity once the set temperature is reached inside the chamber. The blower supplies the required air for proper burning. 3. 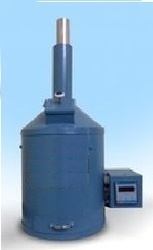 If there is only dry waste for incineration, neither burner nor heater is required. The waste can be burnt using NO FUEL arrangement by manually lighting the waste once it is put inside. The required air flow would be supplied by the no fuel air nozzle arrangement. If necessary the blower can also be used to supply fresh air. 4. The waste gets burned and the flue gas pushes towards the filter arrangement. In this baffles are provided to arrest the fly ash from escaping to the atmosphere. The fly ash is filtered and sent back to the chamber and only flue gas moves up. The flue gas is released through the 20 meter high chimney to the atmosphere. The final product is ash, which is collected at the bottom of the Waste Destroyer. Inappropriate disposal of menstrual waste is problematic for several reasons. The first reason stems from the fact that plastic sanitary napkins have replaced cloth napkins to a large extent. The material used to make plastic napkins is non-biodegradable, thus leading to the accumulation of used napkins in landfills through improper disposal. Used sanitary napkins that have not been disposed off properly sometimes block the drainage system. Burning plastic sanitary napkins causes harmful toxins to be released into the atmosphere, and is therefore not an environment-friendly solution to the problem. Women from lower economic backgrounds who cannot afford to buy plastic sanitary napkins use cloth napkins, and often either do not dispose them or dispose them in ways that are not hygienic. Another problem of accumulated Sanitary Napkins/ pads is the fact that menstrual blood on napkins stagnates for longer duration. Stagnant menstrual blood accumulates a lot of bacteria and emits a foul odour. Heaps of sanitary napkins with a large amount of disease causing bacteria on them pose a significant threat to the hygiene in the surrounding areas. The improper disposal of sanitary napkins is a problem that needs to be dealt with right from the grass root level. People refrain from talking about the sanitary napkins openly. Young girls and even certain older women are not aware of the hygiene problems caused by the improper disposal of sanitary pads. Efforts must be made to create awareness about the importance of hygiene related to Sanitary Napkins, and the problems caused by the lack of it. In an effort to promote proper disposal of used sanitary napkins, We manufactures and supplies cost-effective and efficient Sanitary Napkin Destroyer (incinerator) machines. One of the best ways to dispose Sanitary pads is to incinerate the napkins using electrical incinerators without allowing the smoke generated in the process to escape into the atmosphere. Thus the used pads are incinerated in a more hygienic way, and converted into a sterile ash. Our machines are approved by Pollution Control Board ensuring environmentally friendly disposal of napkins anywhere. We provide electrical based Sanitary Napkin Destroyer which consumes very low electricity and unattended operation. The equipment has different batch processing capacities from 25 napkins to 100 napkins and comes in powder coated MS shell and also in SS shell.